Audacity: http://audacity.sourceforge.net/download/beta_windows (Click here for downloading the Beta version–only version Windows 7 can use). Note: When downloading, you must download the Audacity file AND the LAME MP3 encoder (also available on the Website above) in order to export MP3 files. It runs on Windows, Mac, and Linux. Record from microphone, line input, or other sources. Dub over existing tracks to create multi-track recordings. Record up to 16 channels at once (requires multi-channel hardware). Level meters can monitor volume levels before, during, and after recording. Easy editing with Cut, Copy, Paste, and Delete. Use unlimited Undo (and Redo) to go back any number of steps. Very fast editing of large files. Edit and mix an unlimited number of tracks. Use the Drawing tool to alter individual sample points. Fade the volume up or down smoothly with the Envelope tool. Change the pitch without altering the tempo, or vice-versa. Remove static, hiss, hum, or other constant background noises. Alter frequencies with Equalization, FFT Filter, and Bass Boost effects. Adjust volumes with Compressor, Amplify, and Normalize effects. Record and edit 16-bit, 24-bit, and 32-bit (floating point) samples. Record at up to 96 kHz. Sample rates and formats are converted using high-quality resampling and dithering. Mix tracks with different sample rates or formats, and Audacity will convert them automatically in realtime. Spectrogram mode for visualizing frequencies. “Plot Spectrum” command for detailed frequency analysis. Audacity offers everything from the most technical skill to the beginner skill. When done editing Audacity files, users can choose from a variety of export options including MP3 format. The MP3 formats can be inserted into a Windows Movie Maker movie, iMovie, or another digital storytelling creator. Tracks can also be shared on RSS feeds. Integration: Think of Audacity as the backbone for digital storytelling and the backbone for any assignment or application that involves auditory skills. Audacity can be used in any class and in any grade level. And, though, students in the younger grade levels may not be able. When I taught high school English, my students used Audacity when working with Windows Movie Maker and Premiere. Since Movie Maker only allows two tracks to play simultaneously, users cannot have narration going while a song is also running. 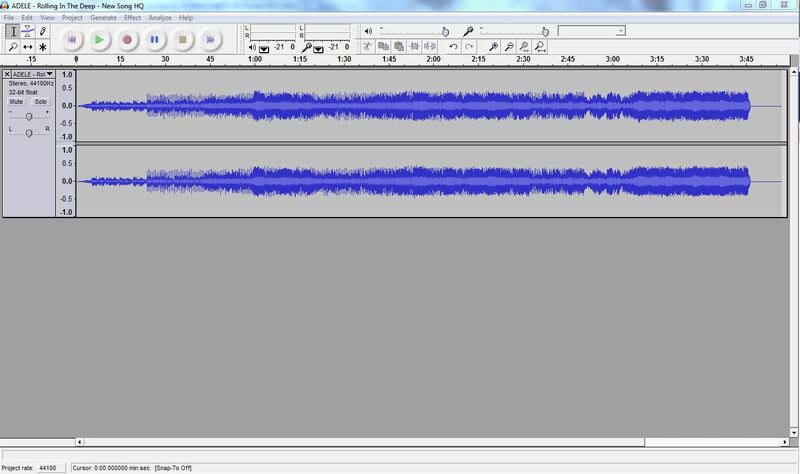 Therefore, my students used Audacity to mix the audio tracks into one file for an easy import. They did this from simple voice narration over song to a mixing of various songs and interview clips. Students were able to trim out background noise and accentuate voices over background sounds. Through Audacity, I was able to teach my students how to tell a story and how to communicate with only sound: audio literacy. And even though elementary students may not be able to manipulate sounds on their own, they can all record sounds and choose sounds for the class to mix into one. Another application that produces a similar product is Aviary, free for Google Apps for Education users. However, it allows users to generate an embed code for the audio file when it is generated. This code can be embedded within school Websites. For instance, students can compose an audio file highlighting the upcoming school play. Then, they can embed that file into the district Website for all viewers to hear. Audio literacy is at its finest with Audacity.